Does anything really exist outside of New York? The creator of this map doesn’t think so. 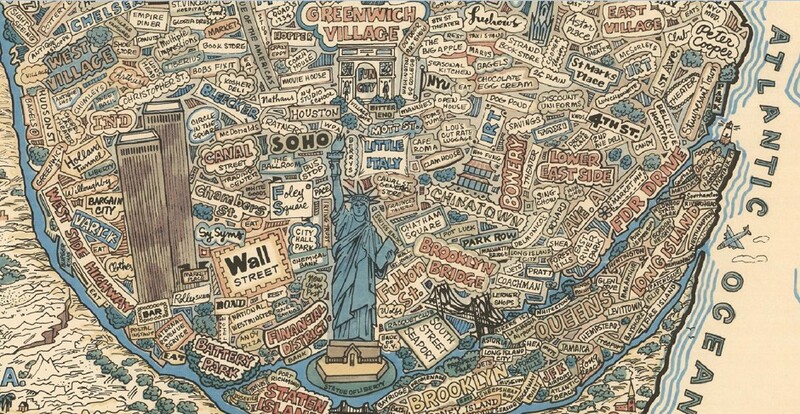 Made in the 1970s by an anonymous artist, this maps depicts the worldview of the stereotypical New Yorker. 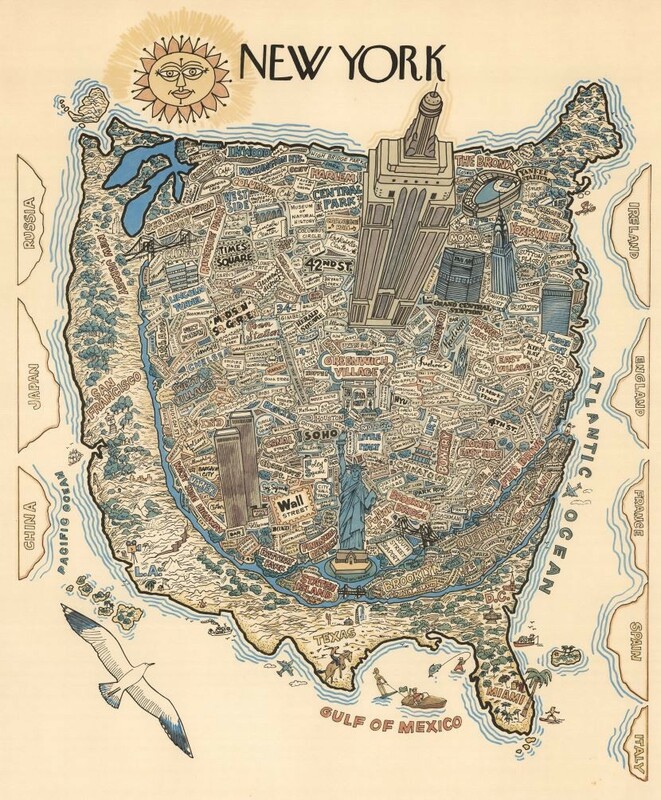 The greatest city in the world occupies the greatest amount of space on the map, while the rest of the country is reduced to a narrow strip of land. That is, the rest of the country that’s worth acknowledging. According to the map, there are very few places in the United States outside of New York. Nothing exists between the West Side and the West coast, while south of Long Island, you’ll only find Texas, Washington D.C., and Miami. At the edge of the map, a few other counties, or rather similarly shaped lumps, vie for space.